Features Levels vehicle side to side. Comes with new wiring harness. Easier and faster installation. Ready air supply. 5 psi low pressure sensor. Load controller II. On-board air compressor control system. Single gauge. Air Suspension Kits by Air Lift. 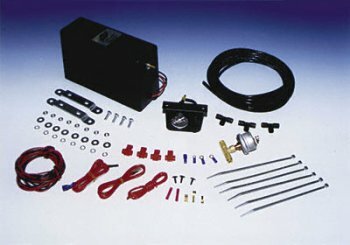 Air Lift Load Controller II Features - Keep your rig plumb and level without getting out of your cockpit with your Air Lift Load Controller II. When weight's piled on, freight's taken off, or roads become choppy, you can add or vent pressure for the perfect balance of firmness and ride quality. Your Air Lift Load Controller II comes in a single or dual system:. Single Gauge Load Controller II: lets you fill both rear shocks simultaneously for even front-to-rear leveling-ideal for pickups with light trailers, heavy vans and SUVs, and cars with rear coil springs. Dual Gauge Load Controller II: allows either simultaneous front-to-rear leveling or side-to-side adjustments-great for pickups with campers and motorhomes with rear air springs. Air Lift Load Controller II - FREE SHIPPING. For the top selection of Air Lift Suspension Systems shop online today. The Air Lift Load Controller II - FREE SHIPPING will improve and personalize your vehicle. Air Suspension Kits by Air Lift - selected by many auto enthusiasts in the top automotive discussion forums. Air Lift Load Controller II for your vehicle will deliver the results you are looking for! 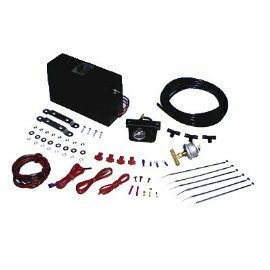 Air Lift Load Controller II - Suspension Systems - Air Suspension Kits. Air Lift 25592 Load Controller II, Single Gauge System -- Jegs ? Selection, Value, Lifetime Support Since 1960? Store: Vantage Point Corporation Condition: Brand New Price: $210.49 Total Price: $210.49 Buy It from Vantage Point Corporation Want it delivered by Thursday, March 15? Store: Aftermarket Suppliers Condition: Brand New Price: $195.98 Total Price: $195.98 Buy It from Aftermarket Suppliers Want it delivered by Thursday, March 15? Store: 4x Off Road Condition: Brand New Price: $207.81 Total Price: $207.81 Buy It from 4x Off Road Want it delivered by Friday, March 16? Store: Anything Truck 4 Automotive Condition: Brand New Price: $207.81 Total Price: $207.81 Buy It from Anything Truck 4 Automotive Want it delivered by Wednesday, March 21? Air Lift 25592 Load Controller II On-Board Air Compressor Control System -- Free And Fast Shipping. Free Returns. 100% Authentic! Air Lift 25592 Load Controller II On-Board Air Compressor Control System -- Authorized Air Lift Dealer. Fast & Free Shipping! Store: RV and Auto Parts Store Condition: Brand New Price: $216.92 Total Price: $216.92 Buy It from RV and Auto Parts Store No returns. Store: Rovospeed Condition: Brand New Price: $205.12 Total Price: $205.12 Buy It from Rovospeed No returns. Store: 4Wheel Drive Hardware Condition: Brand New Price: $170.97 Total Price: $170.97 Buy It from 4Wheel Drive Hardware Want it delivered by Wednesday, March 21? Store: BZB Products Condition: Brand New Price: $210.63 Total Price: $210.63 Buy It from BZB Products Want it delivered by Wednesday, March 14? Choose Local Express Shipping at checkout. Last updated: April 20, 2019 at 11:26 EST. Pricing information is provided by the listed merchants. GoSale.com is not responsible for the accuracy of pricing information, product information or the images provided. Product prices and availability is subject to change. Any price and availability information displayed on amazon.com or other merchants at the time of purchase will apply to the purchase of the product. As always, be sure to visit the merchant's site to review and verify product information, price, and shipping costs. GoSale.com is not responsible for the content and opinions contained in customer submitted reviews.